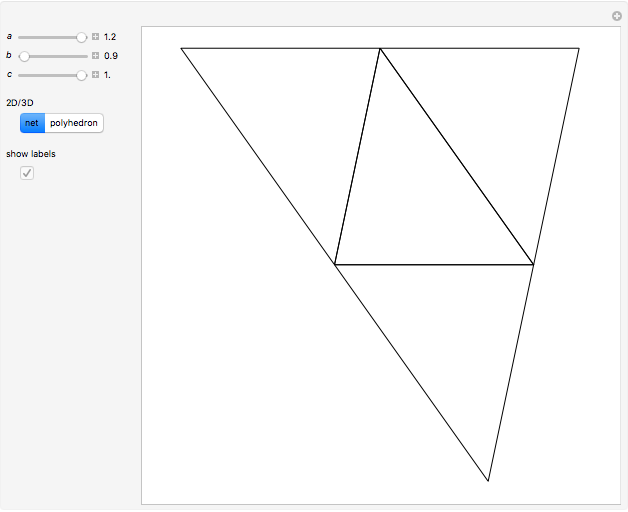 An isosceles tetrahedron is a nonregular tetrahedron in which each pair of opposite polyhedron edges are equal; that is, , , . 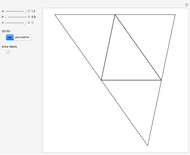 Then all the triangular faces are congruent, so that an isosceles tetrahedron can be classified as an isohedron. 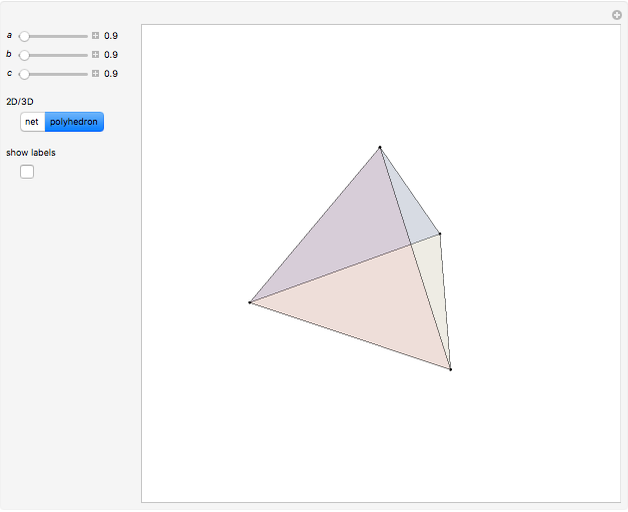 An isosceles tetrahedron is also called a disphenoid. 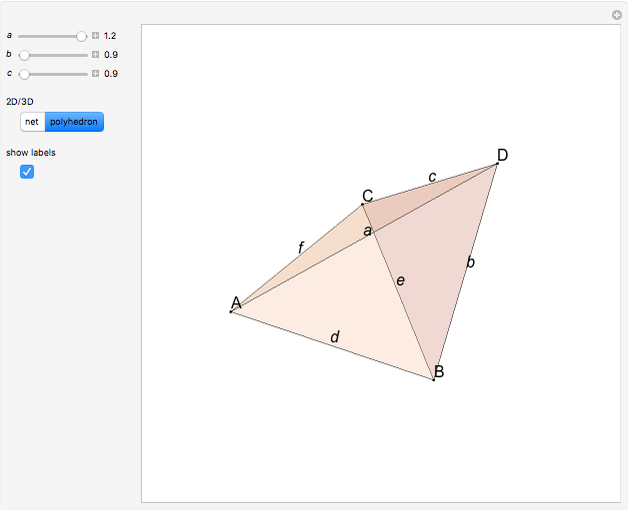 This Demonstration shows that in an isosceles tetrahedron, the three plane angles at each vertex sum to . 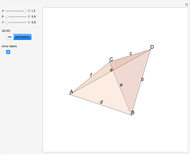 Therefore, a net of an isosceles tetrahedron is a triangle similar to the faces of the solid, and the sides of the net are twice the sides of the faces. 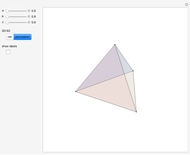 Izidor Hafner "Properties of Isosceles Tetrahedra"